If you never find time to perform all gardening projects you have planned to, you should probably consider taking advantage of a professional gardening assistance. If that’s what you are looking for, you can stop shopping around and contact us. What we offer is a full range of gardening services, including hedge trimming, lawn mowing, tree surgery, mulching, fertilising and many more. 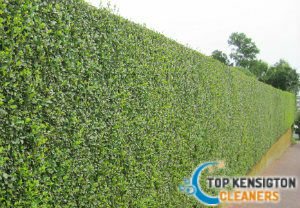 As for the hedge trimming in particular, it is one of the most frequently booked services for a reason. A great number of Kensington W8 residents have entrusted us and they are happy with their choice. According to many people, hedge trimming is an easy to perform project, but if you have seen a shapeless hedge after a poorly performed hedge trimming project, you should know that it actually requires precision. In order to avoid unpleasant end results, the best decision you can take is to entrust our professionals who will carry out a hedge trimming service of fantastic quality. 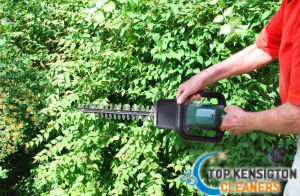 We guarantee that the hedge trimming service in your home, restaurant, hotel, will exceed your high expectations. We strive to make our customers glad with choosing us for their reliable provider of gardening services, so we always make sure we send experienced and well-equipped gardeners to your property. In order to take advantage of hedge trimming or any other service, available in our portfolio, you just need to contact us and check the availability of our gardeners in W8 London district. 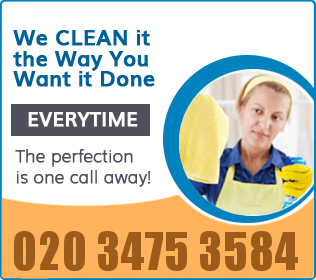 We operate seven days a week and we make sure the service is carried out at the most convenient to you time. No contracts, hidden fees and unnecessary delays.